The Vintage 40 17 x 8" is a two-piece wheel. It has 5 straight spokes that come to a rounded point on the front edge of each spoke and have no curvature to them. It has a media-blasted center and spoke area and polished outer barrel. The center disc is manufactured from virgin 356 aluminum ingots and heat-treated to a T6 factor. 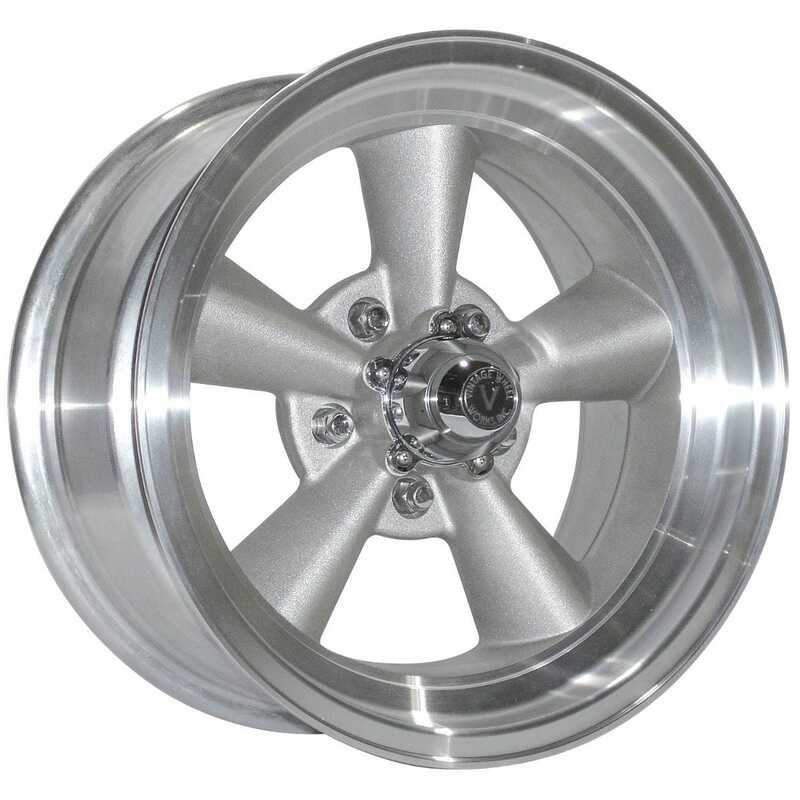 The outer barrel is made from spun 6061 sheet aluminum and has a fully polished front surface. It comes with a standard 4-1/2" backspace (0 offset) or 4-3/4" backspace (+6mm offset) . Please click here to learn more. This wheel has 7/8" clearance from the axle plane to the backside of the spokes. Includes standard center-cap.